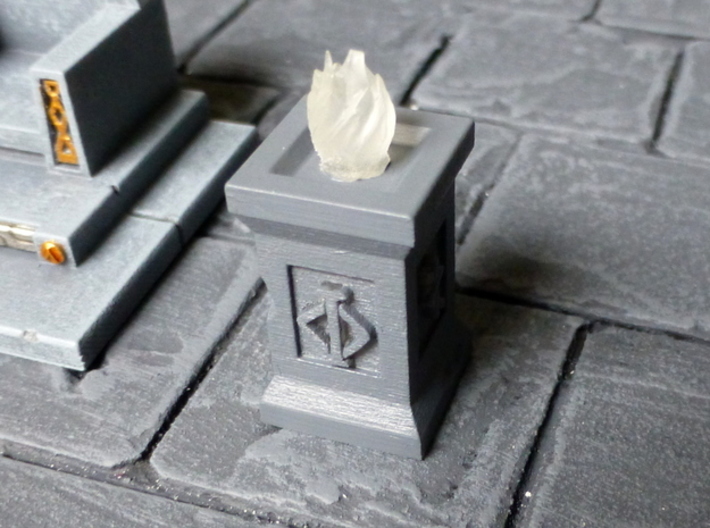 Two stone pillars topped with brilliant torches, bright enough to light up even the deepest of dwarf mines. 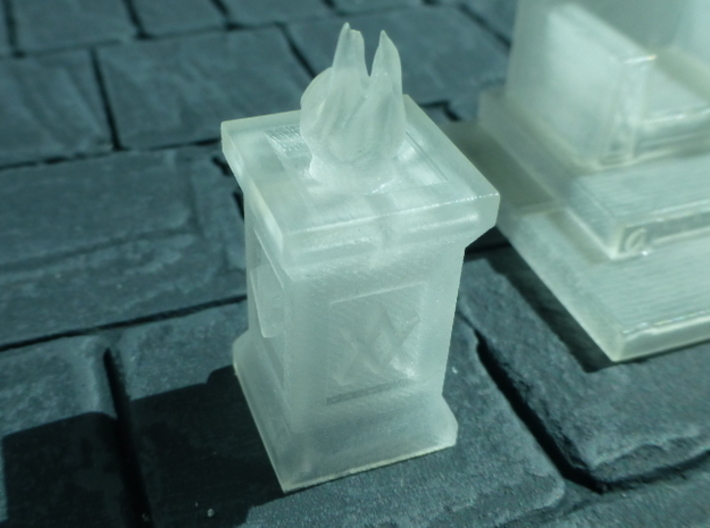 Inside the torches are 4 support strips which can comfortably house a 5mm LED so that the torches really shine! 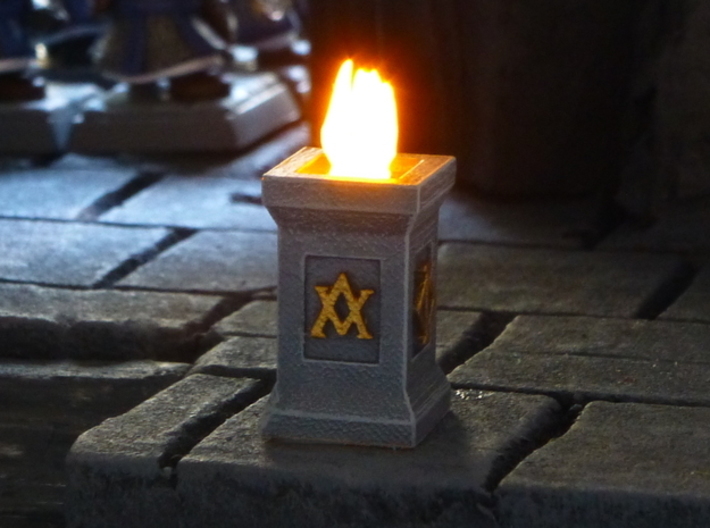 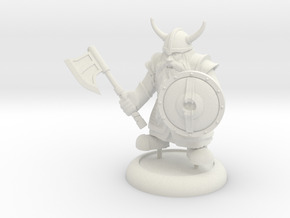 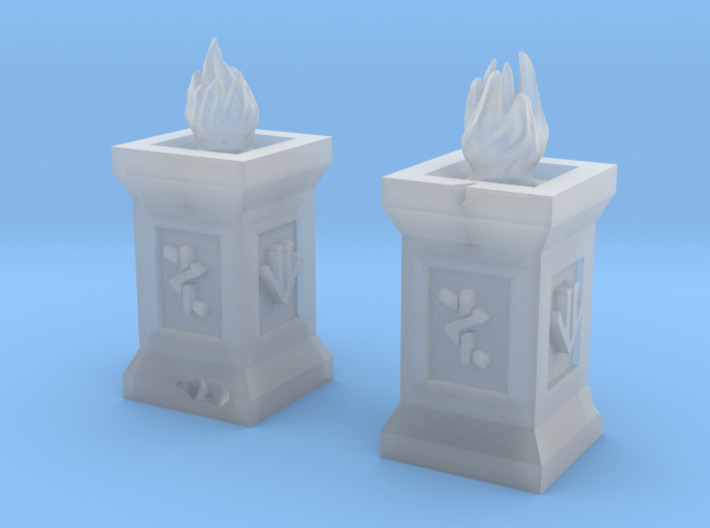 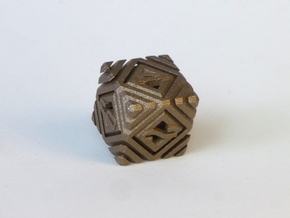 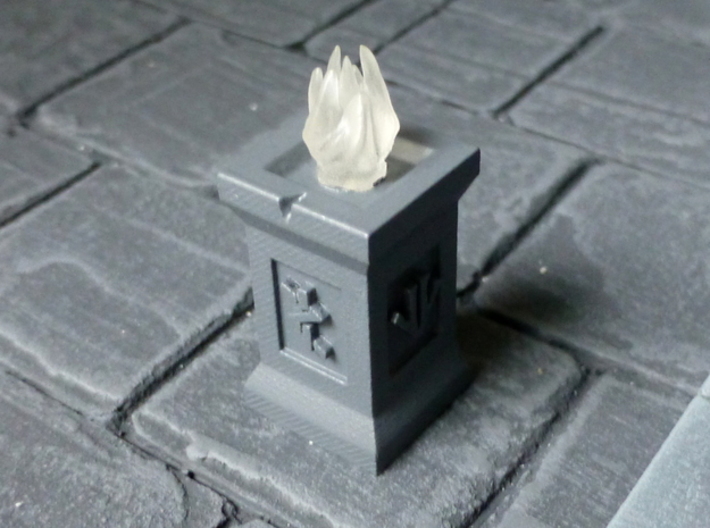 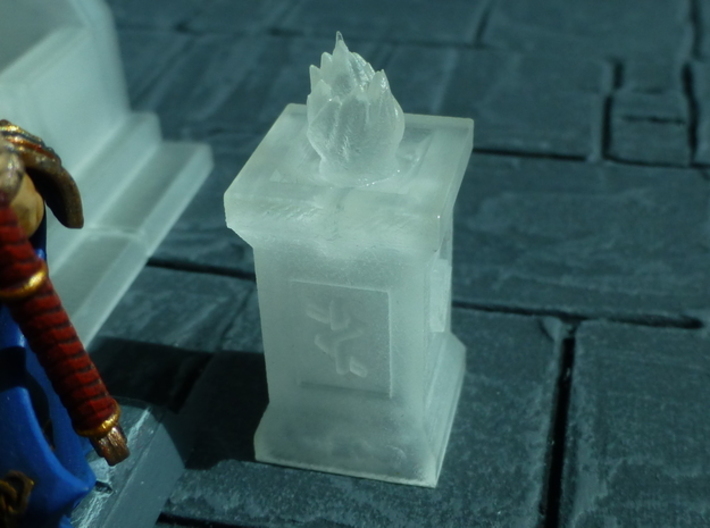 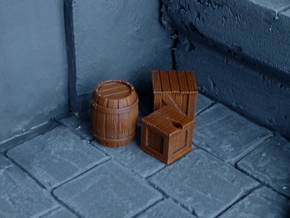 These torches are designed for 28mm miniatures but could work just as well for similar scaled figures.